Brief Description: Legendary West Ham manager John Lyall, who sadly died in 2006, is remembered with affection as one of the all-time great football managers by former colleagues and football fans alike. 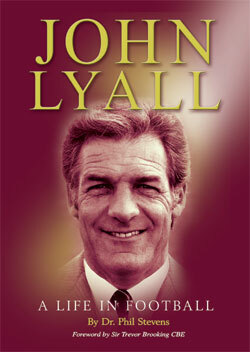 Lyall was widely regarded as man of great integrity and is credited with laying down the foundations of the footballing beliefs and values of today’s West Ham United. 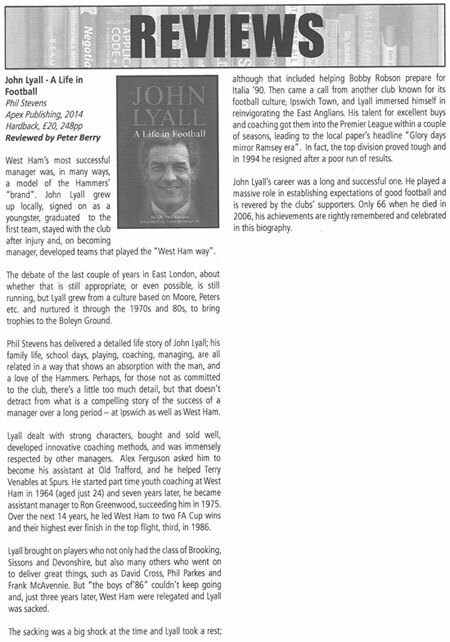 This new in-depth biography documents Lyall’s football career from West Ham groundstaff boy in 1955, through his playing debut, injury, and eventual steps into coaching and management under the watchful eye of Ron Greenwood. A much-loved and respected figure at Upton Park, Lyall had a lasting influence on the club’s development and the team’s style of play and during his time in charge, West Ham twice won the FA Cup. Later, when Lyall took over at Ipswich Town, he led the club to promotion to the inaugural Premier League in 1991/92. 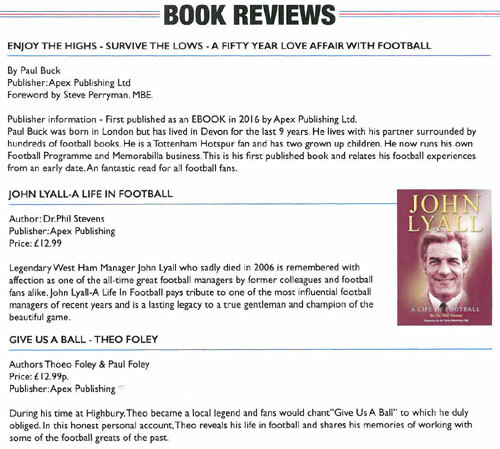 John Lyall – A Life in Football pays tribute to one of the most influential footballer managers of recent years and is a lasting legacy to a true gentleman and champion of the beautiful game. Special Note: This book is also available as an eBook. A previous edition of the paperback version carries the following ISBN: 978-1-782818-52-6. About the Author: Dr Phil Stevens has published numerous articles on a range of education topics. He has held fellowships at the London Institute of Education; Merton College, Oxford University; and the University of Tennessee. He completed a PhD at the London Institute in 1992. While holding senior positions in education, for 25 years Dr Stevens taught in schools, colleges and adult education. In the 1980s he taught in the London Borough of Waltham Forest. A keen sports enthusiast, he coached basketball, football and cricket, including a spell leading a successful Waltham Forest Schools U13 cricket team. Born in Walthamstow on the East London and Essex border, Dr Stevens enjoyed a long and successful career in education, following a five-year spell as a firefighter in his twenties at Islington and Chingford. He played Devon league cricket for 15 years and football for Leyton FC, Chingford FC and the University of Liverpool. A lifelong West Ham and Essex supporter, Dr Stevens has recently taken early retirement from his post as Vice-Principal of a Community College in Plymouth. 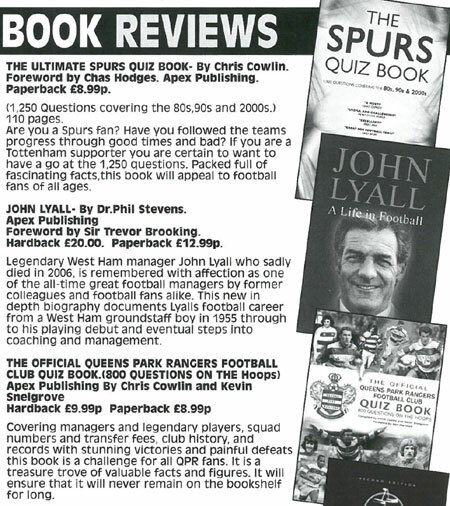 20 November 2015 - Dr. Phil Stevens signed copies of his book 'John Lyall: A Life in Football' at the Queen's Theatre, Hornchurch. Phil was joined by West Ham United legends Ray Stewart, Sir Trevor Brooking, Billy Bonds and Tony Gale.